The Loddon Plains Landcare Network (LPLN) recently received funding from the Victorian Government’s Local Landcare Facilitator Initiative to contribute to the salary of a facilitator for the Network. After the process of receiving applications and conducting interviews the LPLN selected their new Landcare Facilitator at the end of February 2012. The Loddon Plains Landcare Network is happy to announce that Anthony Gallacher has commenced in his role as the new Landcare Facilitator. Anthony brings to his role a scientific background in conservation and environmental science. 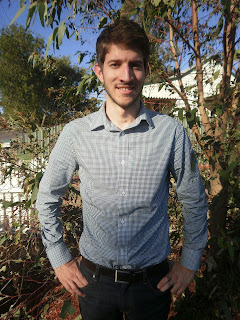 He also brings substantial volunteer experience from his time with the Australian Youth Climate Coalition. Anthony will be assisting the 14 member groups of the LPLN in developing and implementing projects that enhance the natural resources within the network area. This will include helping with strategic planning, funding applications, sourcing relevant information and promoting the work of the network and member groups. Anthony is currently working on completing the biodiversity “Blueprint for Action” and helping to organise a series of community workshops for the network in early May. If you’d like find out more about the network or Landcare contact Anthony by email at anthony.gallacher@gmail.com or phone (03) 5446 9249.